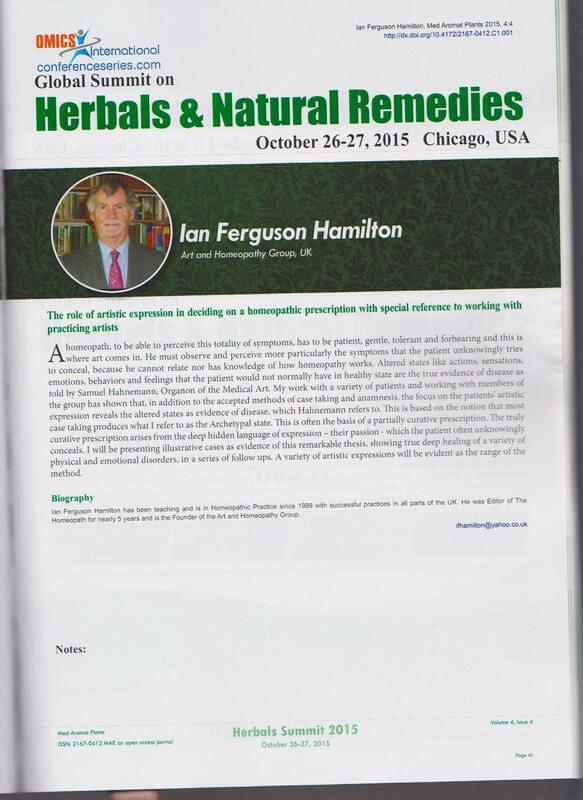 I am just back from a stimulating visit to Chicago where I presented a paper on Art and Homeopathy to an international conference of homeopaths, herbalists and ayuveda specialists. The paper will be published soon and I will keep posting. i was a keynote speaker. They presented me with a Certificate of Recognition! 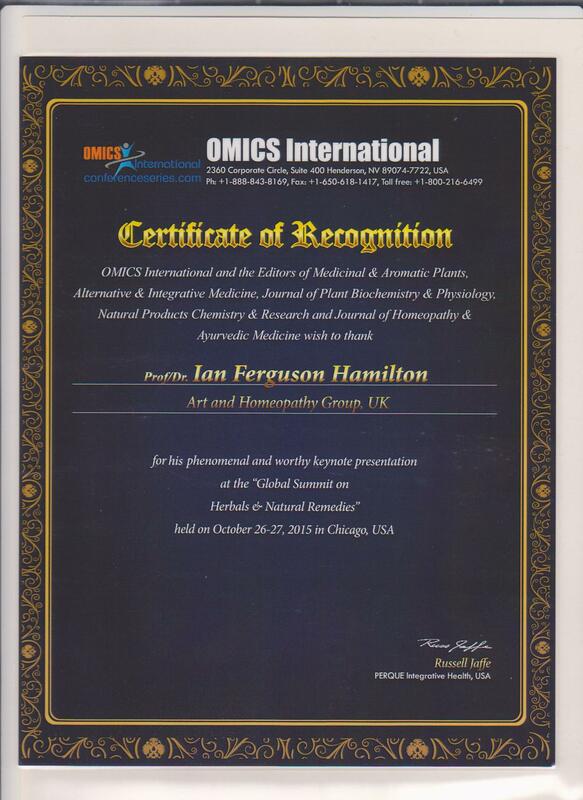 Good to know and it is appreciable that you presented a paper in a conference in Chicago. I am interested to read this paper. Please post it to me. Thanks. Well done Ian, you should be very proud! Enjoy the ride, as many like this do not come in a life time. Sent you recently an email and as I did not hear from you, started to get worried. Now I understand and could not be for a better reason.